Most Stunning and beautiful birds in the world to make your day | Do You Know? 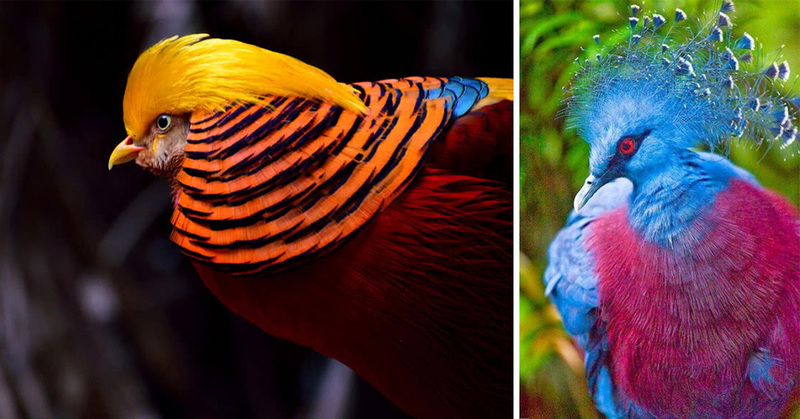 Which is the most beautiful bird in the world? Who could possibly answer this question? Nobody, because, majority of birds in this world are beautiful. However, some species definitely have striking features which could outrank the rest. 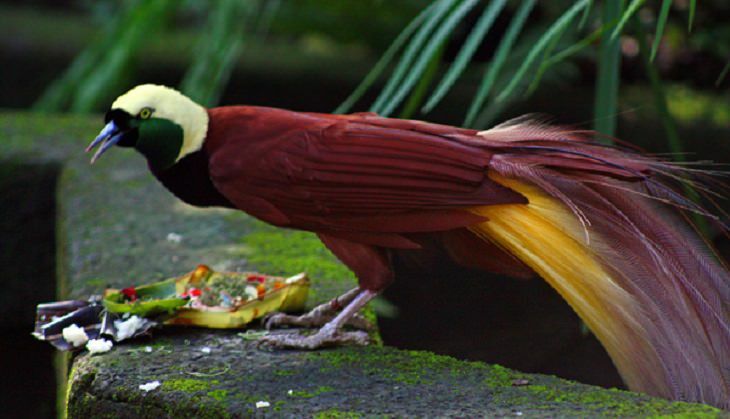 This stunning bird dwells in the inaccessible parts of the rainforest, making it hard to capture them. 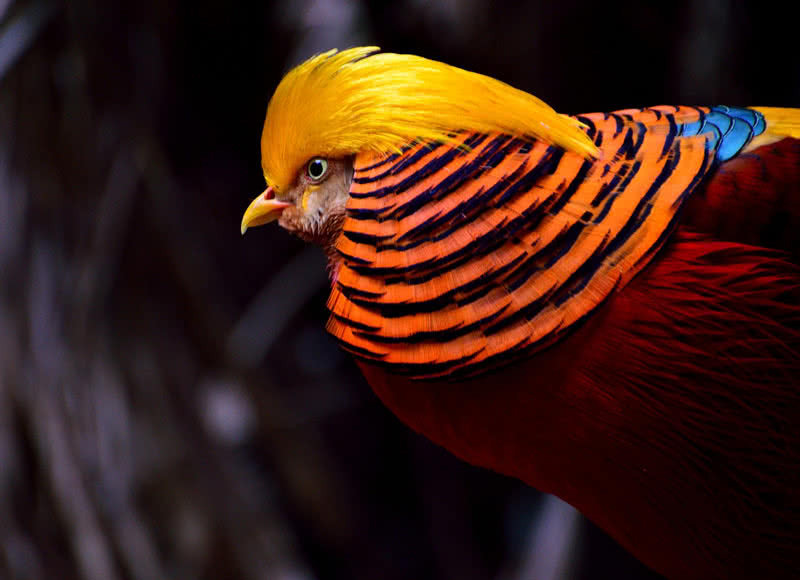 The Golden Pheasant is an Asian bird famed for its unique colors. It is common in the forests and mountains of Western China. 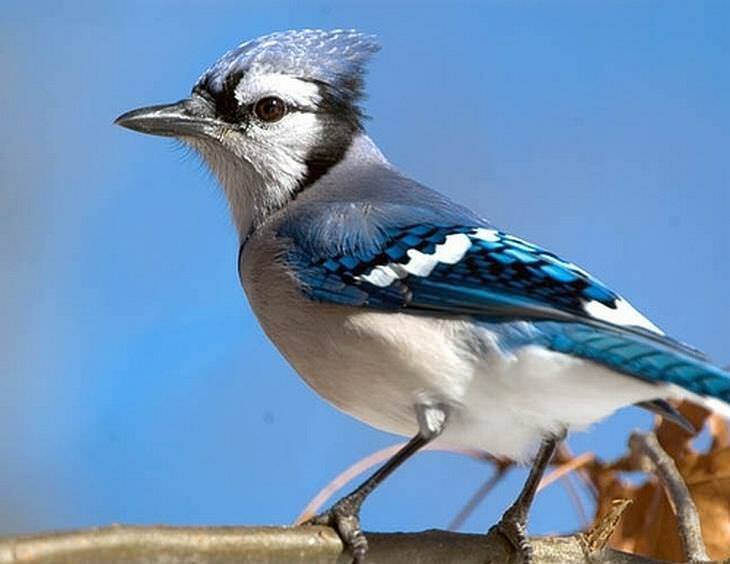 Often spotted in the woods, Blue Jays are known to be bullies to other smaller birds, chasing them through the trees. Peacock is actually the name of male bird of peafowl family. There are three types of peafowls in the world – Indian, Congo and green peafowl. The Indian peafowls are the most common type of peafowls found around the world. 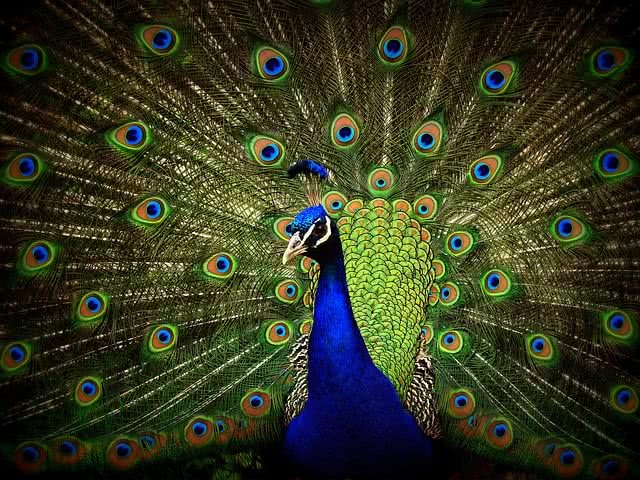 Peacocks (male birds) are renowned for their colorful display of iridescent tail feathers. The Hyacinth Macaw is a native to America and some parts of Africa. Its weight varies from 2 to 3 kilograms. 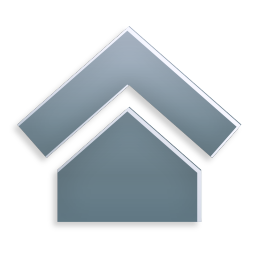 When sold in the United States, its price reaches $1,000 or more. The Quetzel is a bird that resides in the mountains and tropical forests of Central America. It is known to feed on insects, fruits, lizards, and some other smaller critters in the wild. The Hoopoe bird is famed for the wonderful arrangement of feathers on its head that resembles a crown. This winged animal is already listed as an extinct species. Due to its gray plumage, the beauty of the Bohemian Waxwing is almost invisible. But, due to the variation in its body color, this bird looks slightly comical. The Dusky Lory is endemic to Papua New Guinea and Indonesia. 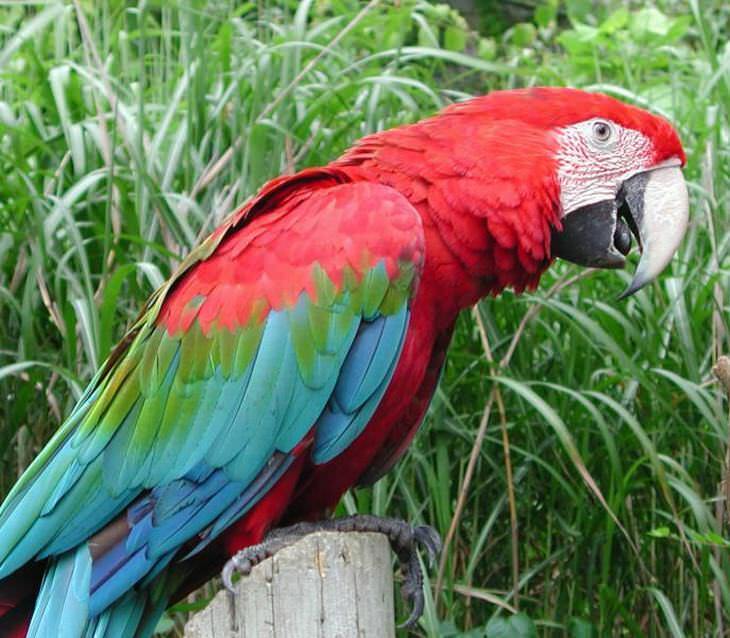 Compared to other parrots, it has a greater talking potential. 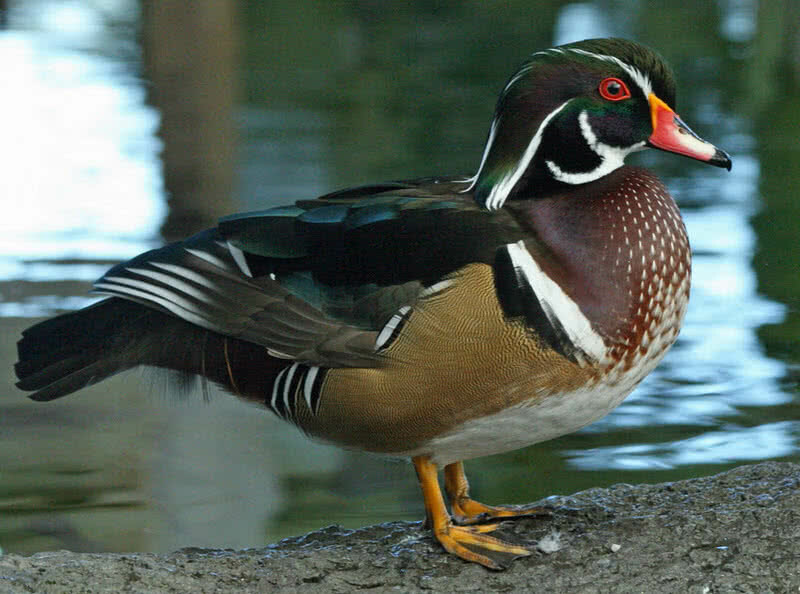 Wood duck is probably the most stunningly colorful waterfowl in the world. The male bird has a metallic, purplish-green head and crest. Their belly is white and chest is dark-red. Along the neck, they have attractive, narrow white stripes. Their wings are patterned blue and black. 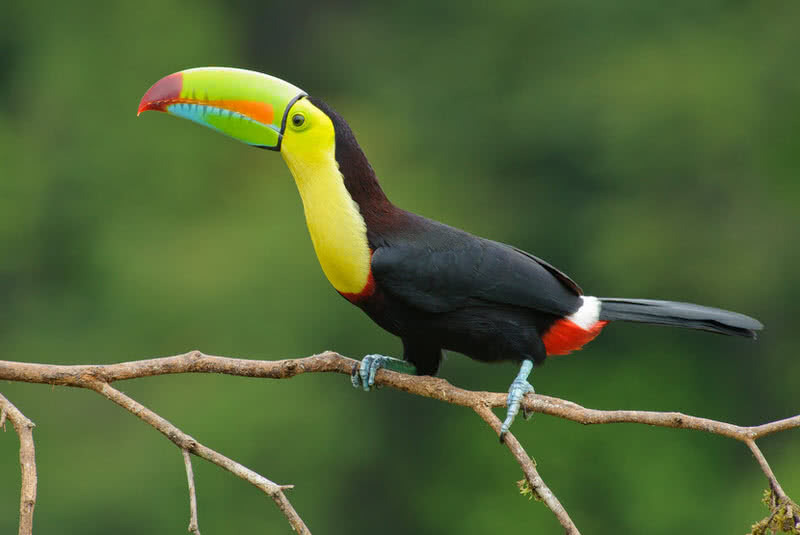 Keel-billed toucan is among the birds with most amazing bills in the world. 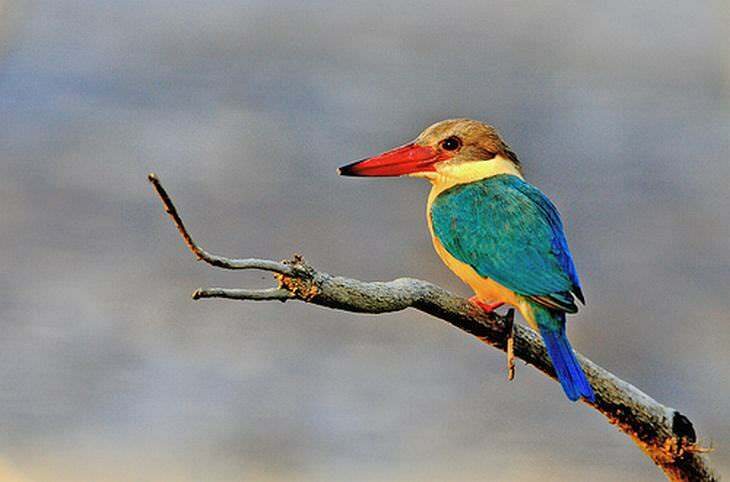 They have huge, multi-colored beak that will reach up to 20 cm in length. Due to their colorful bill, keel-billed toucan is also known as rainbow-billed toucan. Their beak is a mixture of green, red and yellow colors. 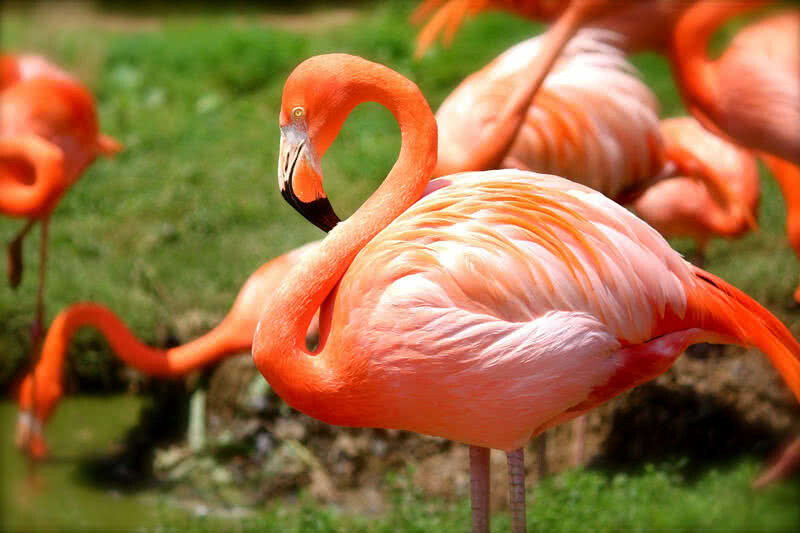 Flamingo is probably the most recognizable wading bird in the world. The stunning red-purple colored plumage itself make flamingo so special among birds. There are 6 different species of Flamingos in the world. They found on every continent except Antarctica. This stunning parrot is best known for its yellow-bared eyes. It is mostly found in forests and green lands. A native to the forests and tropical lands of South Asia - particularly Sri Lanka and India. This captivating bird keeps bird-watchers on their toes. 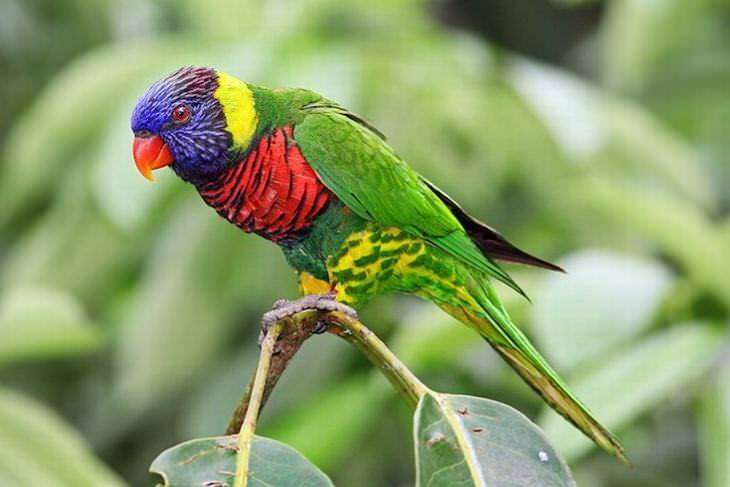 The Rainbow Lorikeet is best known for its colorful body and dazzling eyes. It resides in several regions of Australia. This stunning beauty is named after the British monarch Queen Victoria. 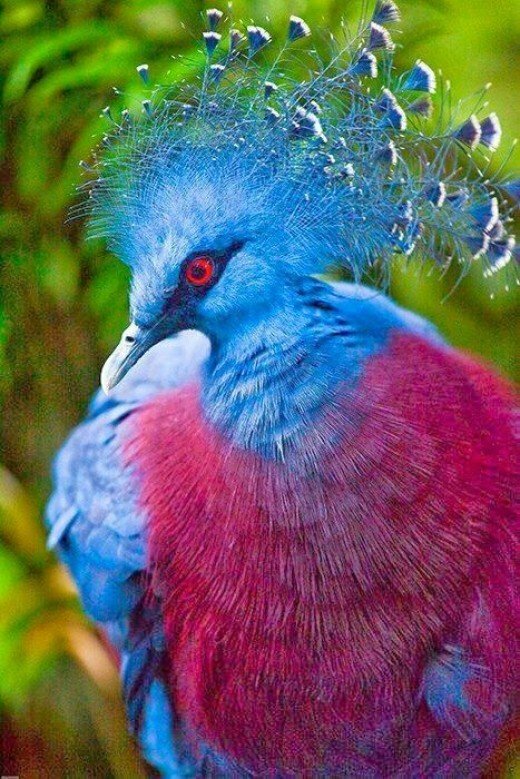 The Victoria crowned pigeon is native to lowland and swamp forests of northern New Guinea. It usually lives in areas that were formerly alluvial plains and sago forests. The Painted Bunting is a male bird, native to North America. It is easily recognized for its green back, blue head, and orange body. 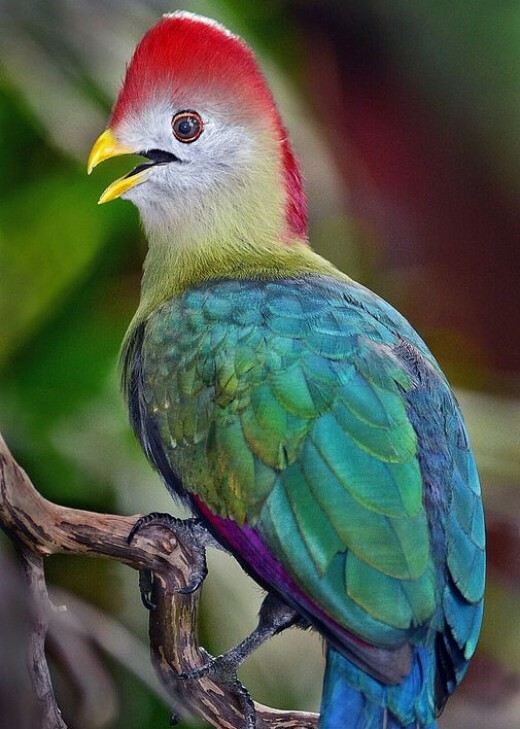 The prehistoric looking red crested turaco is native to western Angola. It is mostly found in forests, woodlands, savannahs and grasslands with trees and bushes. The Northern Oriole is a small-sized bird that weighs around 35 grams. Its charming appearance is contributed to its s bright and vivid colors. For many, the fiery red feathers of the Northern Cardinal is simply captivating. The African Crowned Crane is among the loveliest birds in the savannah of Africa. Although they are often seen in the southern part of the Sahara desert, they prefer to live in a habitat that is cool and wet. Still didn't get enough of them? Want to see some of them in action? Here is a video for you.